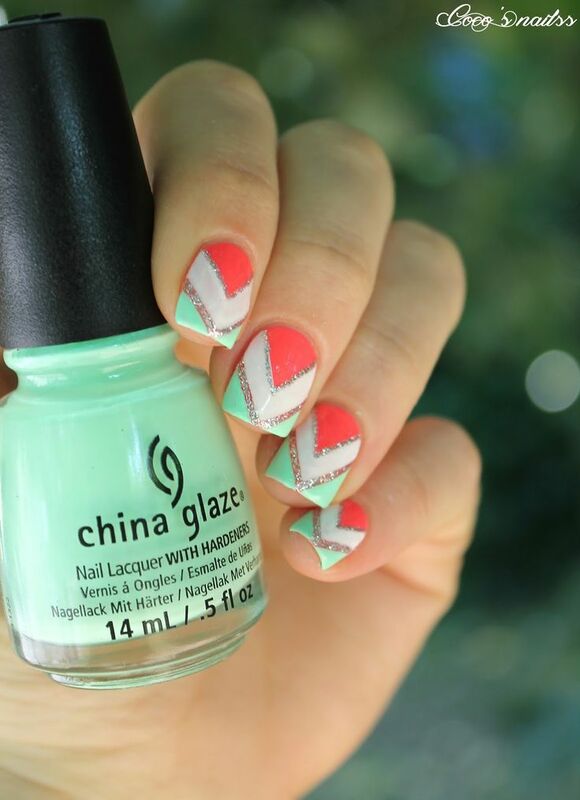 If you’re going on vacation or planning a beach trip, this nail design is for you. 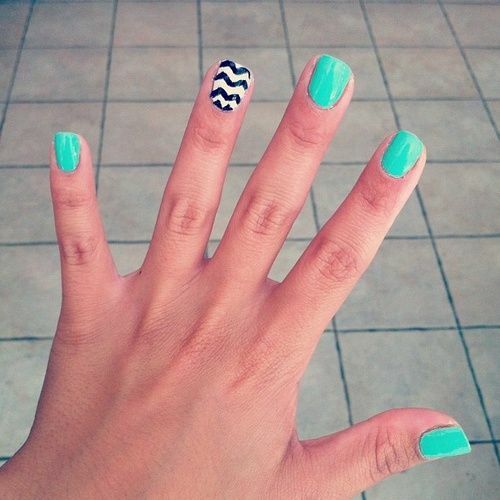 It’s a twist on a regular beachy nail look because it incorporates darker colors instead of lighter pastel colors. The gold glitter polish will give you some extra sparkle and kind of gives it a sandy look. 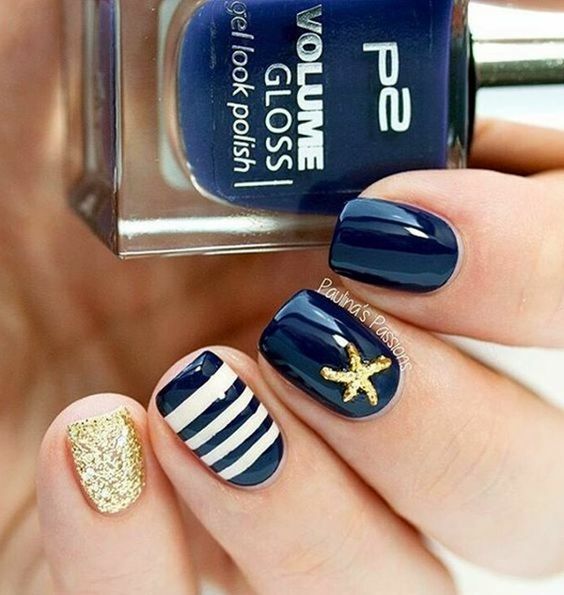 The little starfish is the perfect accent to the dark blue polish. Red is such a beautiful color to use for your nail designs. However, using a muted red is subtle but still flirty. 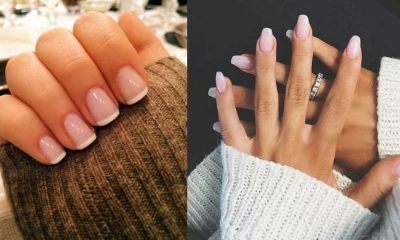 If you want something special for a date or even an engagement party/bridal shower, try these nail designs with hearts to make you look sophisticated and sassy. 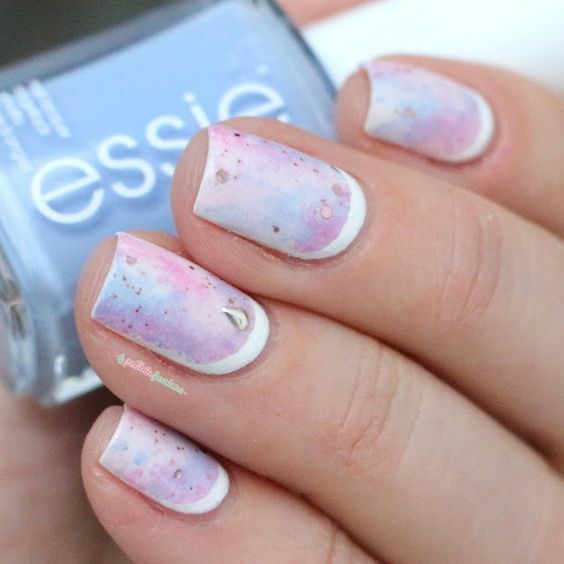 If you’re looking for another more subtle nail design, try this one. 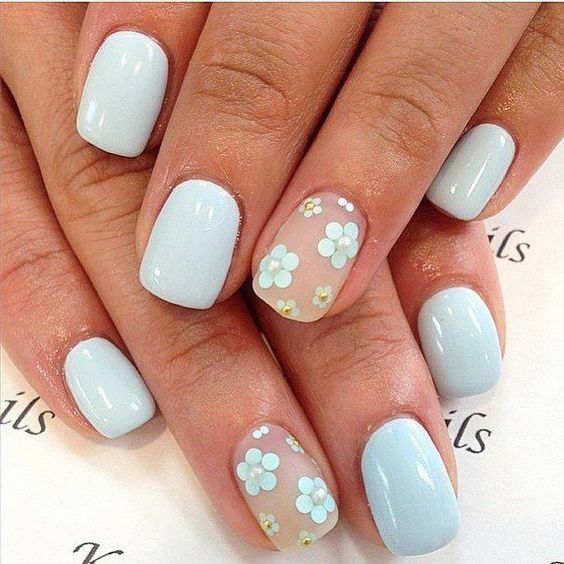 Use a pale blue to offset your clear nails and then add some flower designs on the clear nails. 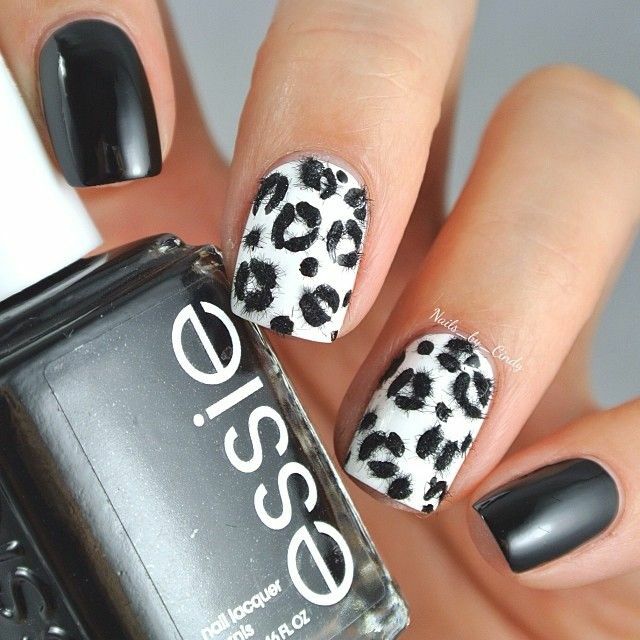 If you’re feeling fancy, add some embellishments to make your nails a little bit more dressed up. 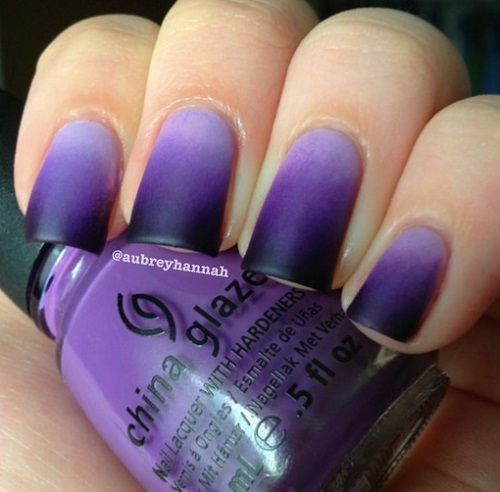 Ombre is one of the coolest nail designs for 2016. 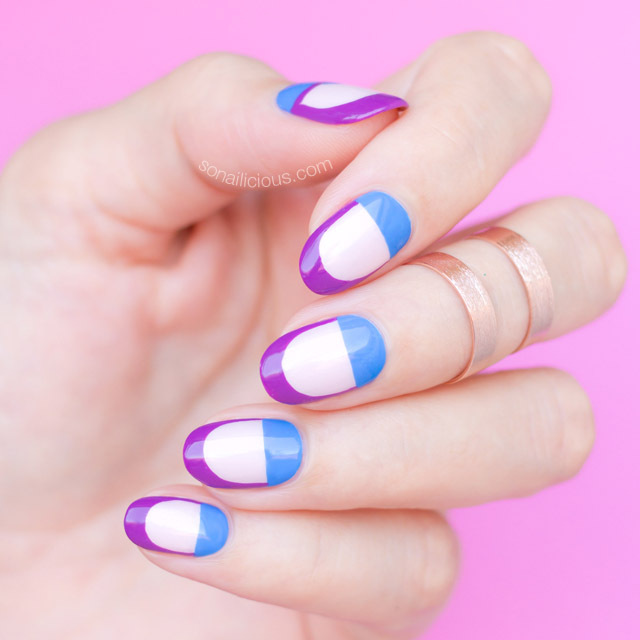 Instead of using a pastel shade, these nails go from blue to light purple. 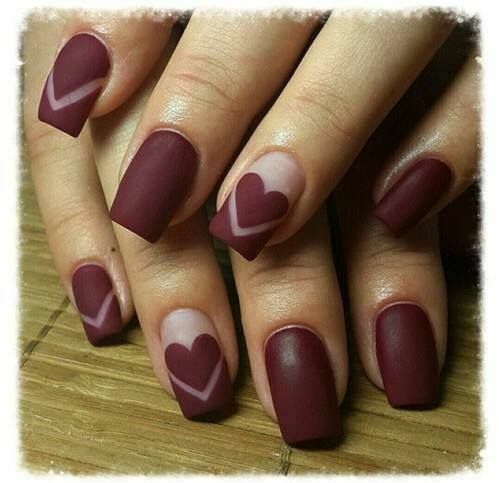 This nail design would work great for the fall or winter especially for Halloween if you want something that is a little bit more subtle. 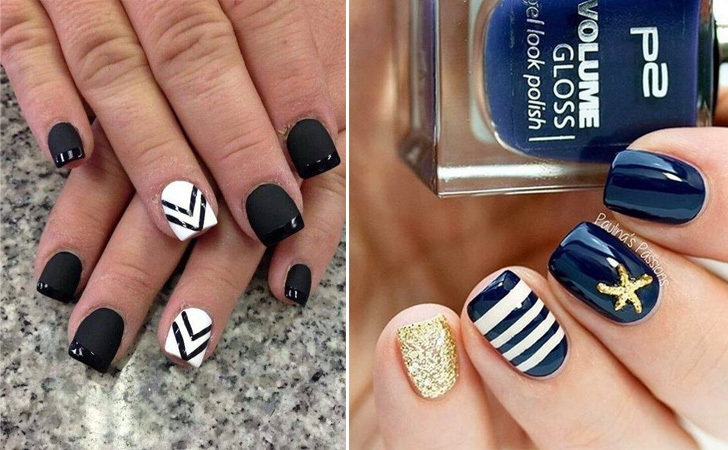 It’s never too early to start thinking about winter and these nails are perfect for winter. 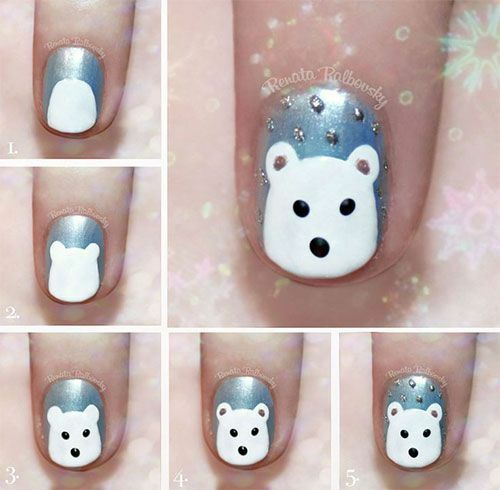 It features silver and white which are great winter colors and adding the little polar bear will make your nails a little bit more fun too. 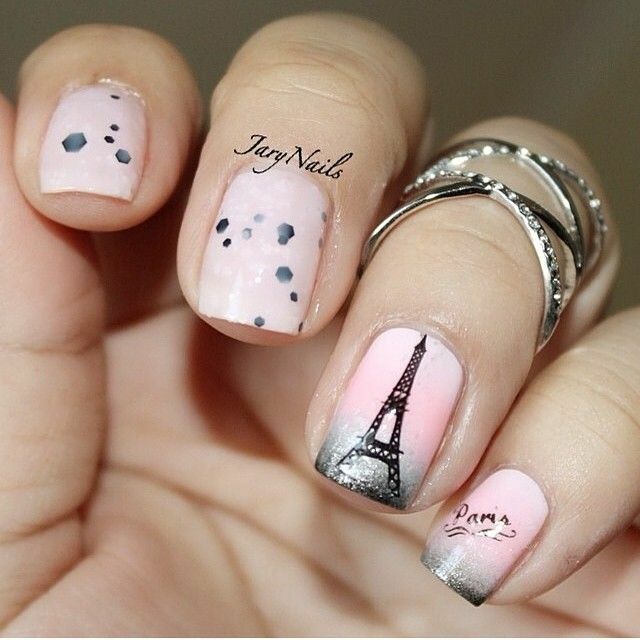 Forget about subtle and go with this nail design. 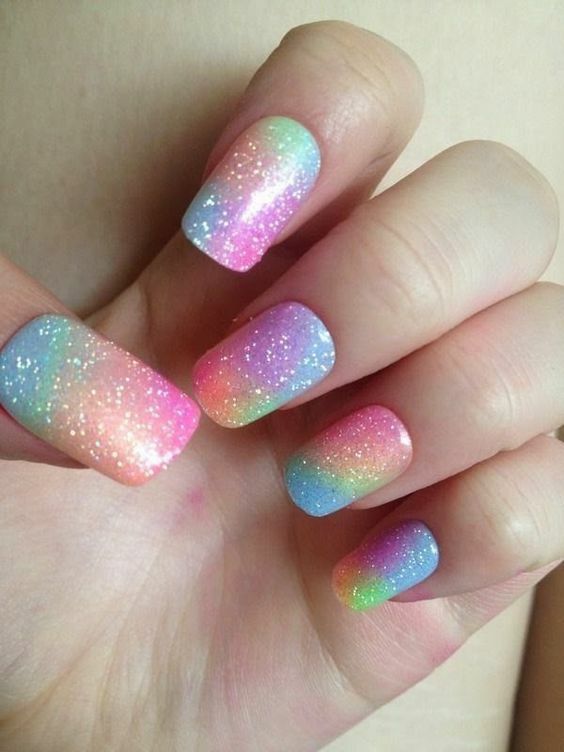 The combination of rainbow and glitter isn’t anything new but these nails combine the two trends perfectly. 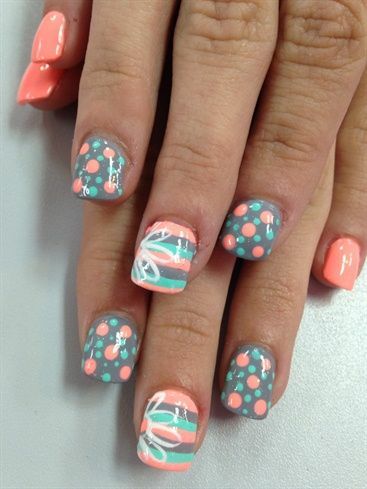 The throwback to 90’s trends like Lisa Frank is what this nail design is very reminiscent of. 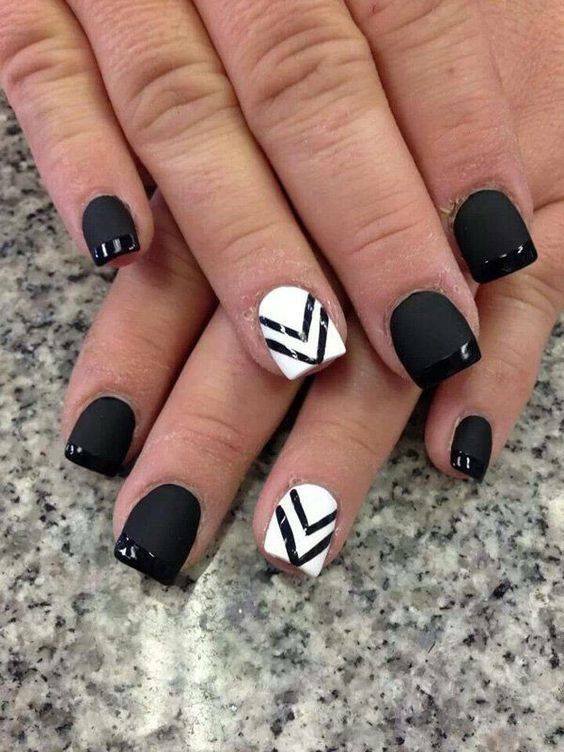 Nails design ideas 2017: Usually, black nails are pretty dreary, but this nail design completely flips that stereotype. 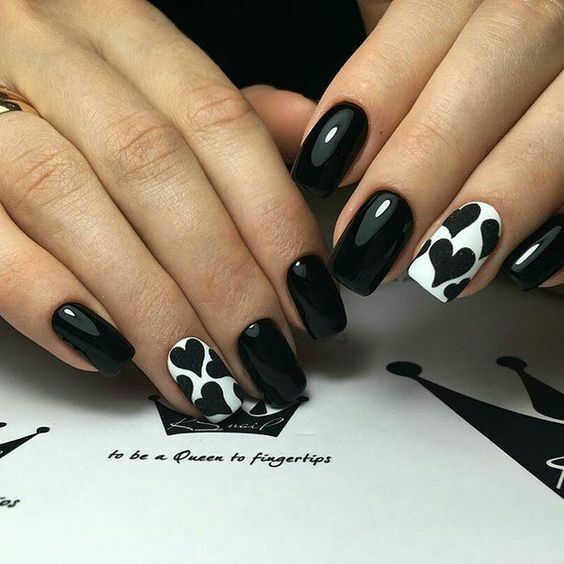 Deciding to paint the two nails white and add the black hearts is the perfect mixture of light and dark. 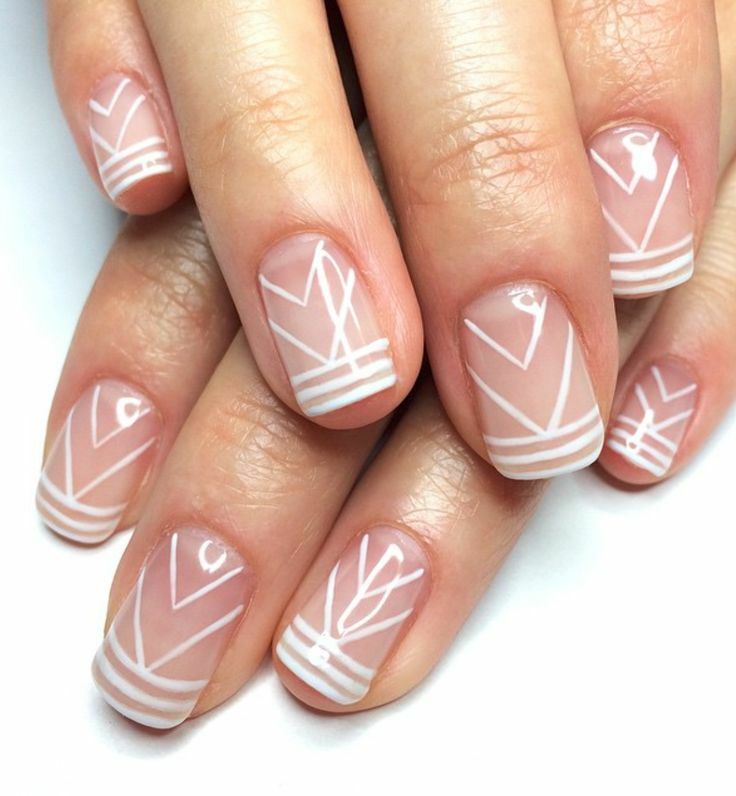 These nails will definitely catch anyone’s attention because of how unique they are. 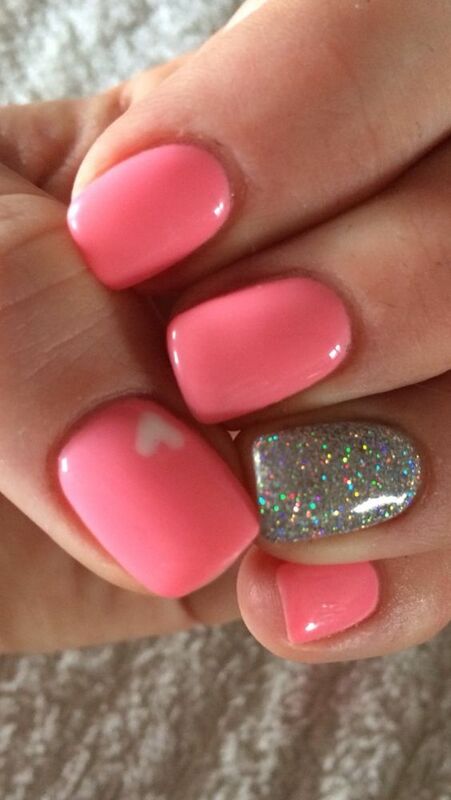 Galaxy has been everywhere this year and you don’t want your nails to miss out. 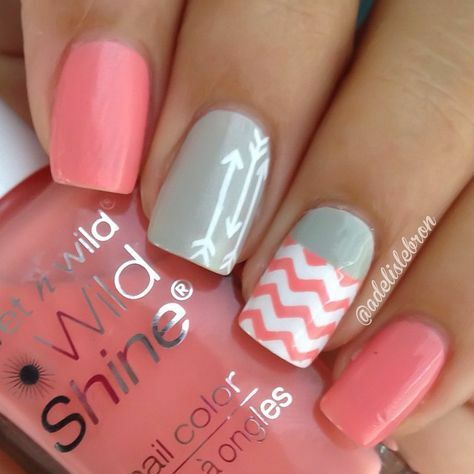 Using a multitude of different pastel colors will give you the desired effect and adding the white tip at the bottom will compliment them perfectly. Polka dots are always trendy so why wouldn’t they be in 2016? However, they’re used in a completely different way here. 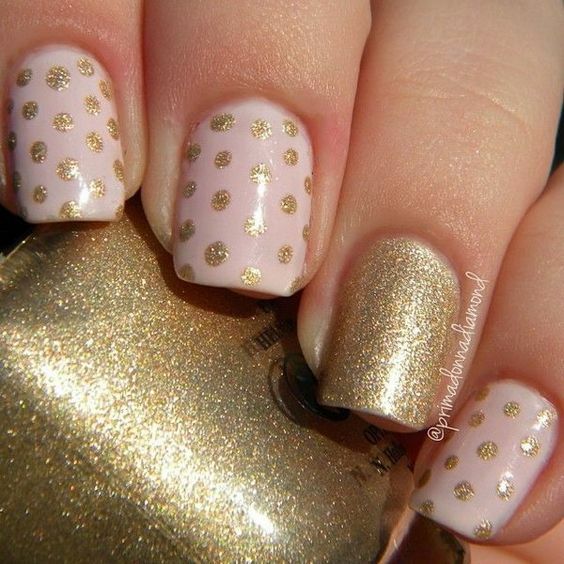 Adding the glitter gold polka dots over the pink nails really make them stand out especially against the solid glitter nail and would look great for winter. 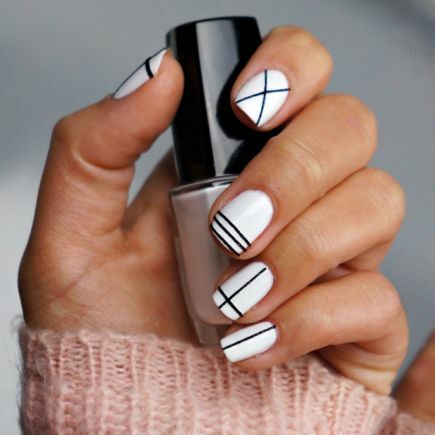 Less is more with this nail design. Beige/tan is one of the most underrated colors for nail design and it can be utilized in so many different ways. 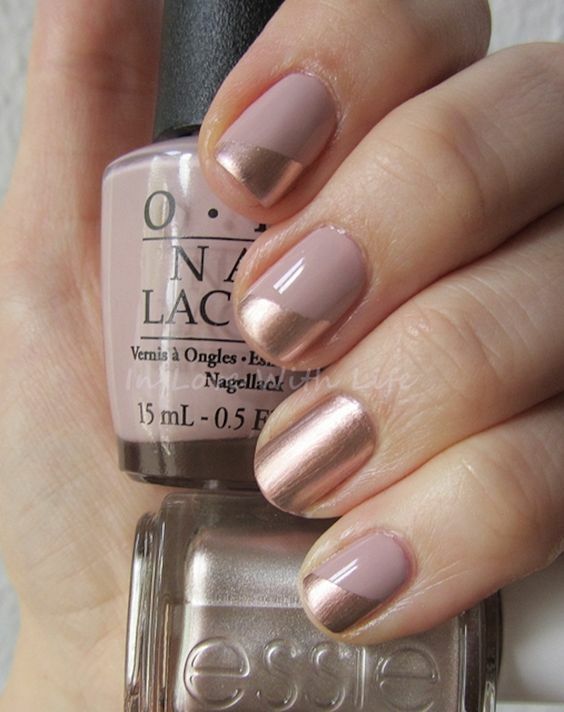 Adding the rose gold color gives it a nice sheen and will make you look even trendier. 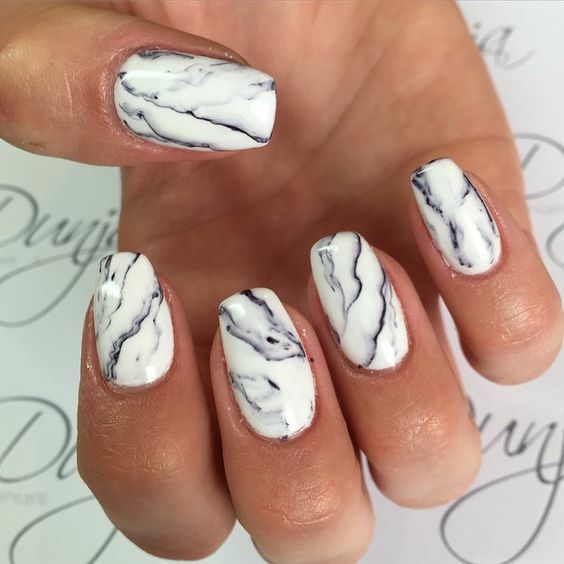 If you want something completely unique, try these marble nails. 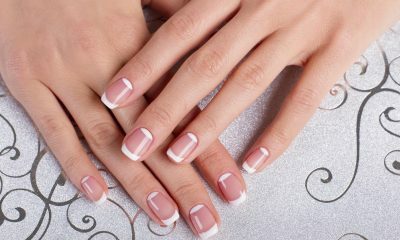 It will give your nails a smoky effect and look pretty effortless even though it does take a good bit of effort. You can really customize this nail design to whatever colors you want or even to match your outfit or for a special occasion. 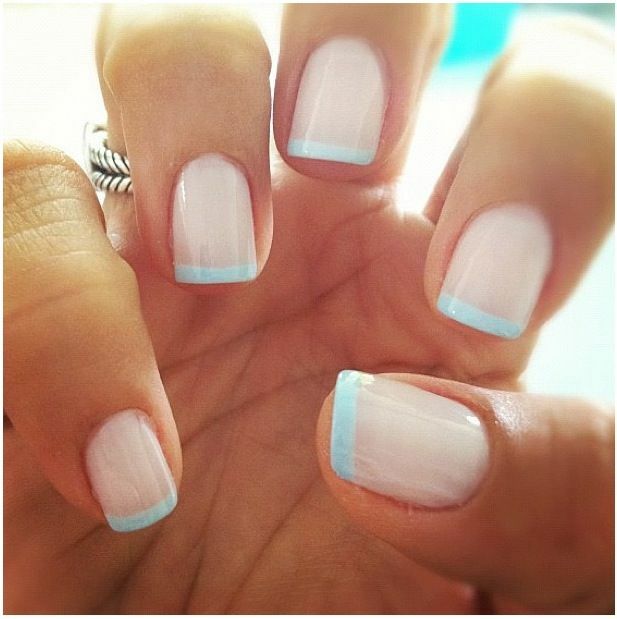 If you want something simple, try this nail design. 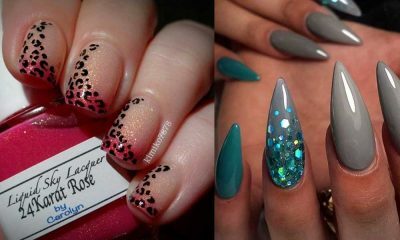 All you have to do differently is paint one of your nails with a glitter polish and add some simple designs to your other nails. 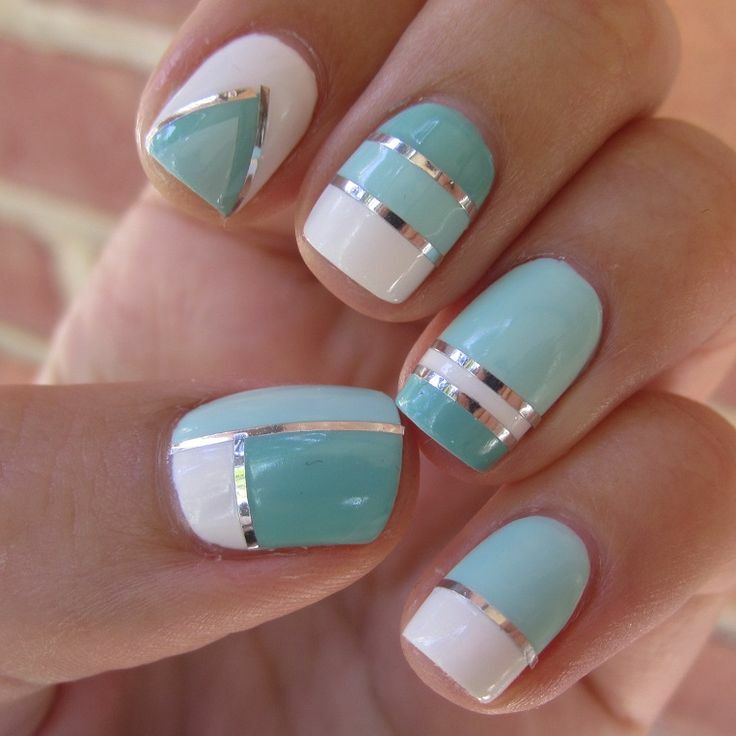 These nails would work for both casual and formal occasions and can make you feel like a queen without taking up too much time! If you want to try a new nail design, you may need polish remvoers, check out these 10 best Nail Polish Removers here. 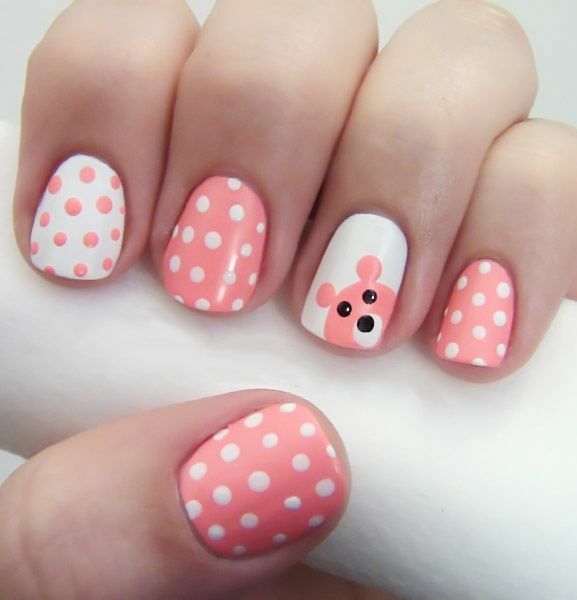 Update: And here are more cute nail designs for you to choose from! Enjoy.